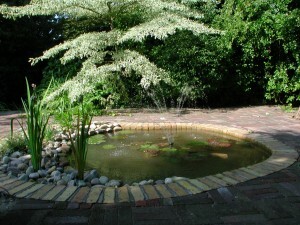 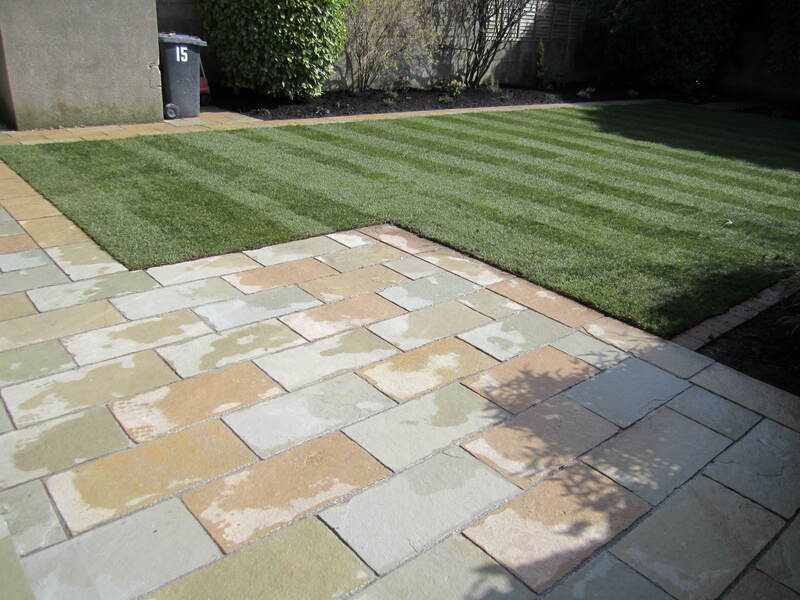 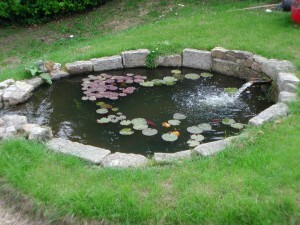 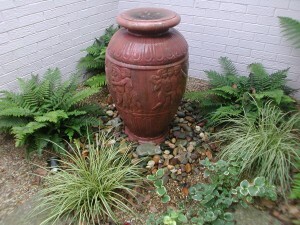 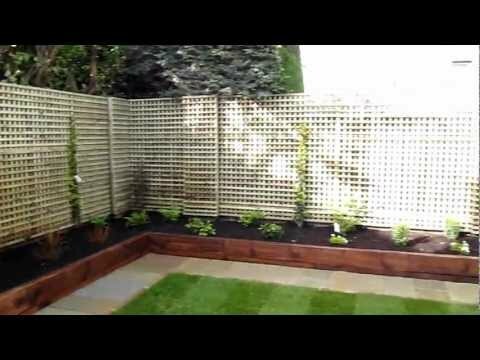 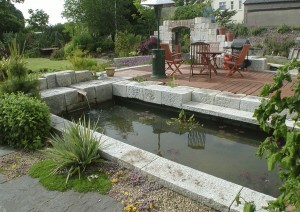 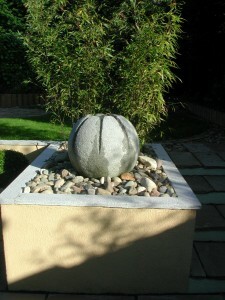 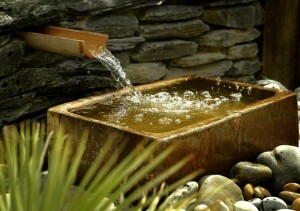 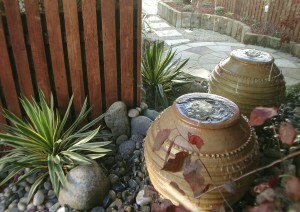 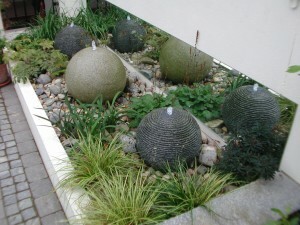 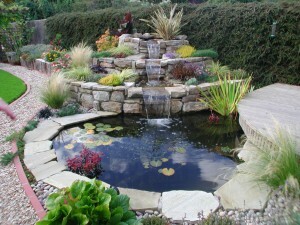 Water features are another aspect that should be considered when planning the design of your garden. 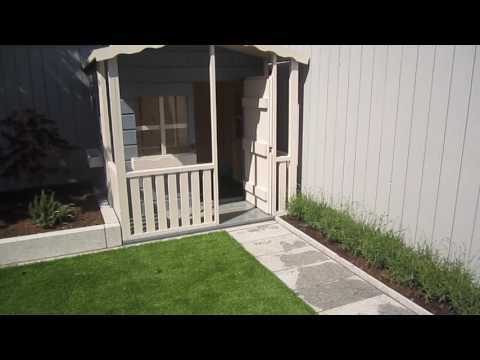 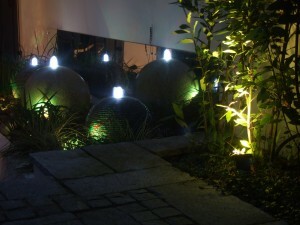 They provide movement, reflection, and sound which adds to the ambiance of an area. 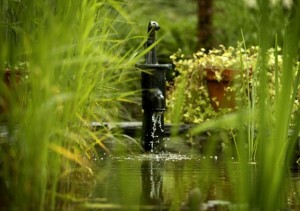 Water in the garden also attracts wildlife. 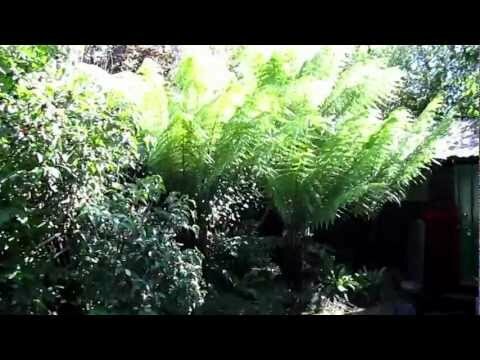 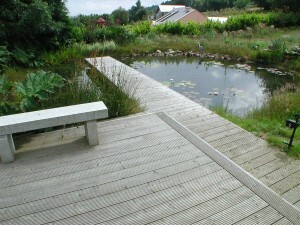 Within a week of creating a pond you will have many more birds visiting the garden. 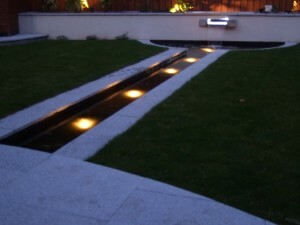 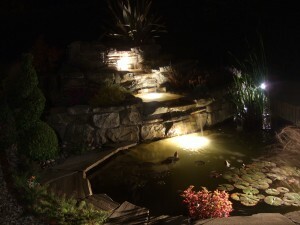 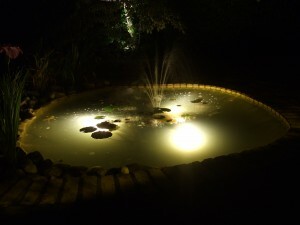 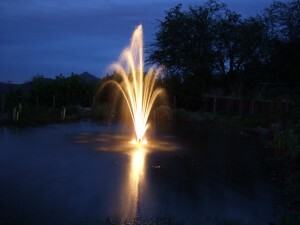 At nighttime well placed lights in a water feature look fantastic. 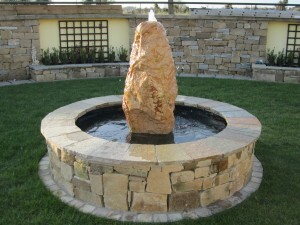 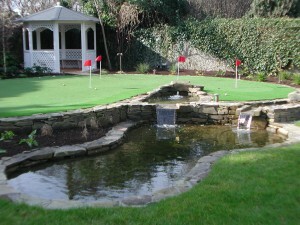 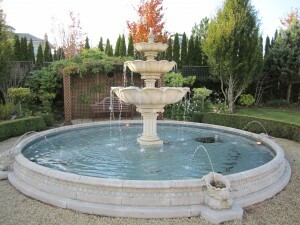 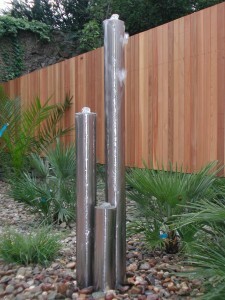 There area many different types of water feature for your garden. 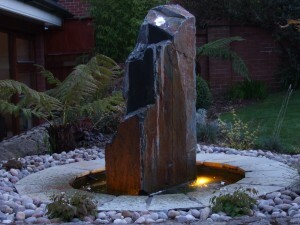 You can have child friendly waterfeatures, water features for fish, waterfalls and ponds, water features for wildlife, Monolith stone water features, waterfeatures for swimming the list goes on. 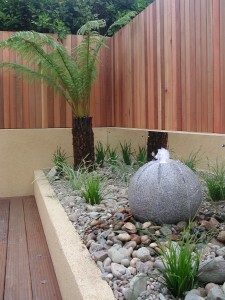 The following are a few examples of work I have done over the last few years. 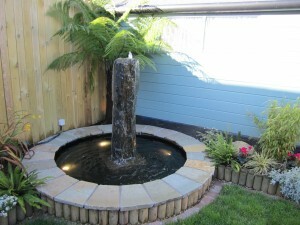 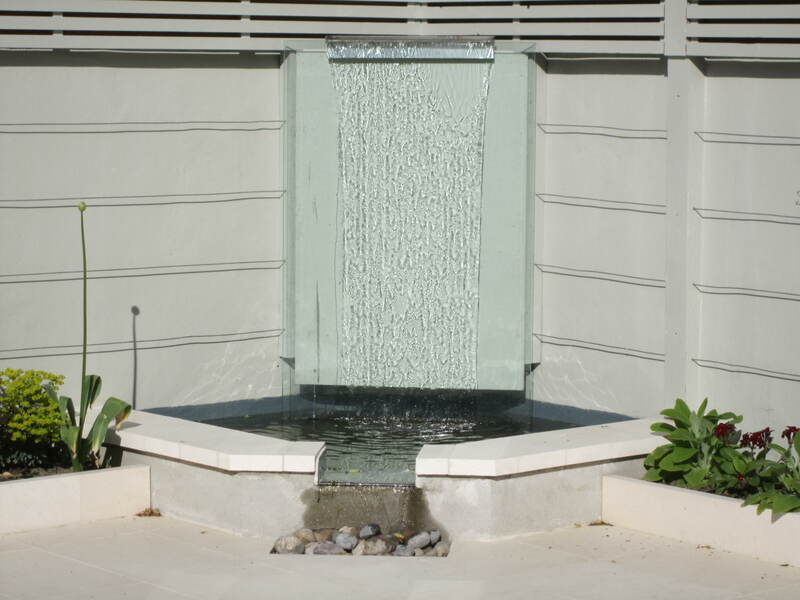 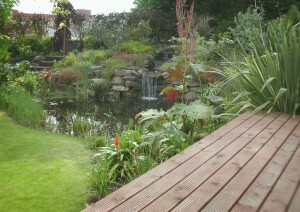 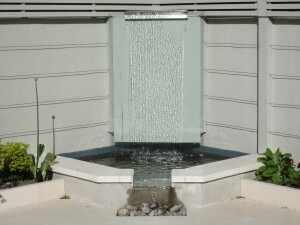 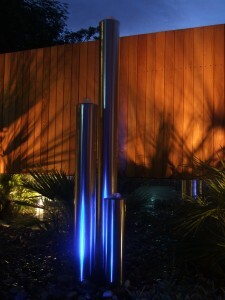 If your thinking of installing a waterfeature we are the people to talk to. 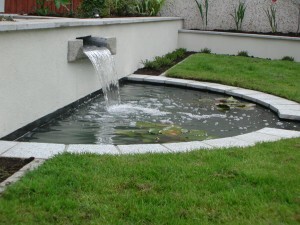 Whether it is a small child friendly water feature or a lake we cater for all shapes, sizes and styles. 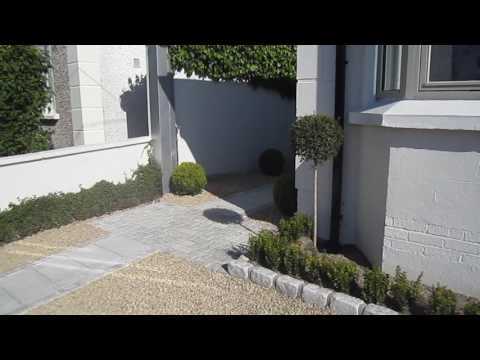 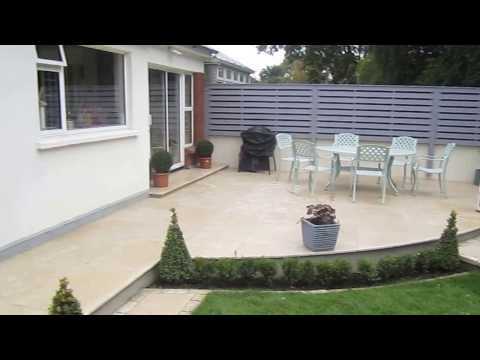 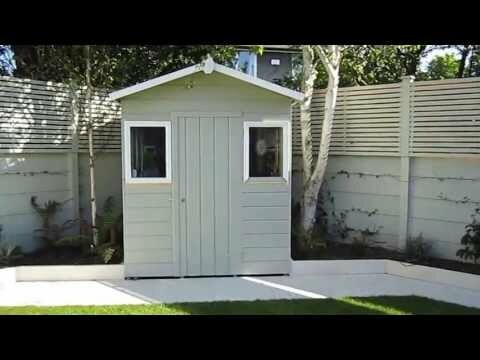 Contact Kevin Baumann for a professional service on 086 8198444.